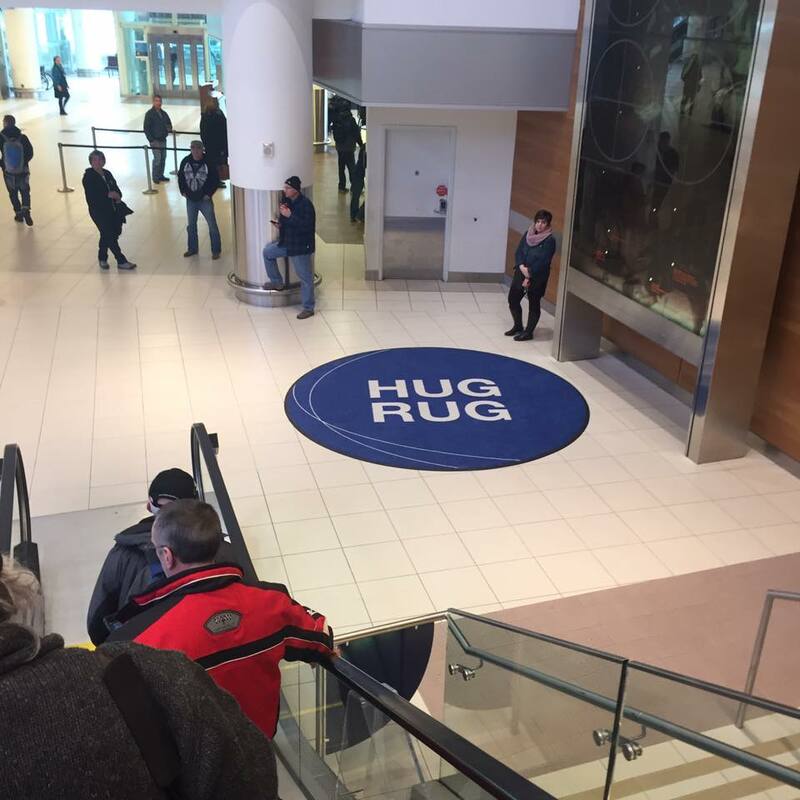 The Hug Rug in Winnipeg Airport, often used to welcome new families to Canada. Refugees seeking resettlement in the United States must pass through a series of rigorous checkpoints aimed at ensuring they will not pose a security risk to the United States. Before you even begin this process, you must flee your country and find a neighboring country with an official UNHCR refugee camp to live in. UNHCR collects identifying documents, biographic information, and biometric data (such as an iris scan for Syrians), and in most cases, interviews the applicant to determine if they qualify as a refugee under international law. STEP 2 - A REFUGEE WHO MEETS ONE OF THE CRITERIA FOR RESETTLEMENT IS REFERRED TO THE U.S.
UNHCR, a U.S. Embassy, or a Non-Governmental Organization will refer the refugee for resettlement to the U.S. Under legislation passed by Congress, Iraqi nationals who have worked for the U.S. government, a U.S. contractor, or a U.S.-based media organization or NGO, and their family members, as well as Iraqis with family members in the U.S. can apply directly to the resettlement program without being referred by UNHCR. Contracted by the Department of State, these centers compile a refugee’s personal data and background information for the security clearance process and the U.S. Citizenship and Immigration Services in-person interview. These cases require a positive clearance from a number of U.S. law enforcement and intelligence agencies in order to continue the resettlement process. This is a “recurrent vetting” process. USCIS will be notified of any new derogatory information identified after the initial check and up until the applicant’s travel to the U.S.
Before USCIS schedules an interview with the applicant abroad, a Refugee Affairs Division officer at USCIS headquarters reviews Syrian applications. If USCIS finds certain criteria to be met, the case is referred to the agency’s Fraud Detection and National Security Division for further review. This review includes open-source and classified research, which is compiled into a report for use by the USCIS interviewing officer. A highly trained USCIS officer conducts a detailed, face-to-face interview with the applicant as well as accompanying family over age 14. The officer collects the applicant’s fingerprints and photographs. The officer evaluates the applicant’s credibility and considers whether their testimony is consistent with country conditions. Based on the interview and the refugee’s case file, the officer will determine whether the individual qualifies as a refugee and is otherwise admissible under U.S. law. THE SCREENING PROCESS TAKES 18 TO 24 MONTHS AFTER REFERRAL SECURITY SCREENING OF REFUGEES ADMITTED TO THE UNITED STATES IF THERE IS DOUBT ABOUT WHETHER AN APPLICANT POSES A SECURITY THREAT, HE OR SHE WILL NOT BE ADMITTED TO THE UNITED STATES. The applicant’s fingerprints are screened against the U.S. Department of Homeland Security’s Automated Biometric Identification System, which includes watch-list information as well as data on previous immigration encounters in the US and abroad. The U.S. Department of Defense screens fingerprints of refugees within a certain age range against its Automated Biometric Identification System. ABIS contains a variety of data, including fingerprint records from Iraq. This screening ensures that the applicant does not have any communicable diseases that could pose a public health threat, and, as such, prohibit his or her admission to the U.S.
One of nine designated agencies place refugees with a local partner agency or office that assists them upon arrival to the U.S. Five of the nine resettlement agencies are Christian and one is Jewish, but all serve refugees of all nationalities and faiths. Those agencies include: Church World Service, Ethiopian Community Development Council, Episcopal Migration Ministries, the Hebrew Immigration Aid Society, International Rescue Committee, Lutheran Immigration and Refugee Service, U.S. Committee for Refugees and Immigrants, United States Conference of Catholic Bishops/Migration and Refugee Services, and World Relief. The nine organizations meet each week with the State Department to decide how refugees will be redistributed. Each agency accepts new cases based upon their organization capacity, taking into consideration budget and current caseload. STEP 15 - REFUGEES ARE ADMITTED TO THE U.S.
A Customs and Border Protection officer reviews the refugee’s documentation and conducts additional security checks against its National Targeting Center-Passenger program and the Transportation Security Administration’s Secure Flight program. CBP ensures that the arriving refugee is the same person who was screened and approved for admission to the United States. STEP 16 - REFUGEES ARE RESETTLED ALL OVER THE US. The resettlement agencies look at each particular case and make a determination about where the person or family should be sent based upon a number of factors. "The most common reason for a refugee to be assigned to a particular place is a personal or family connection," a State Department spokesperson says, speaking on background. "We try very hard to get refugees close to people that they know because we think that they have a better chance of success if they have support network when they first arrive, aside from just the volunteers. "Other factors that could impact where someone is sent include ensuring the person has easy access to appropriate medical care for any health conditions; language abilities and available job prospects.Refugees are sent to nearly every state and to different communities across the country. Syrian refugees have been sent to 138 cities in 36 states since the country's civil war began in 2011. Nationality of origin is not a factor in determining where people are placed. STEP 17 - REFUGEES PAY BACK THEIR FLIGHTS. STEP 18 - REFUGEES RECEIVE $1K FOR 3 MONTHS RENT. Each refugee receives a stipend of about $1,000 to cover their first three months in the U.S. Before an individual or family arrives, the local resettlement organizations work to find a suitable apartment. They ensure the rent will be affordable and are in charge of distributing the stipend to cover the costs of rent for three months. They are not placed in special apartment blocks and do not receive special rates. "[The housing] is on the open market. We're trying to rent apartments just like anybody else," says Stacie Blake of the U.S. Committee for Refugee and Immigrants. "There's nothing special or privileged about that. "After three months, refugees are responsible for paying rent as normal tenants in their apartment buildings and are also free to move elsewhere within the city or state or to another state altogether. Refugees sometimes arrive themselves without a home Often families arrive, after 30+ hours of travel and multiple planes, to find that their temporary housing has fallen through and agencies are forced to place them in motels by the airport, often splitting up families to accomodate everyone. Not only are these families spending their first night in America separated but the US taxpayer is paying rack rate. Resettlement agencies also aid refugees in applying for jobs. Syria was a lower middle-income country before the war, and many refugees are educated and trained. But that doesn't mean they can pick up where they left off. "Let's just say they were a doctor. You can't just come be a doctor here, you have to start over to get your credentials," Blake says. "So now they can't be a doctor, so now what will they do?" Refugees frequently find work in low-skilled jobs, like hotel services and manufacturing. They interview and go through a job-application process just as anyone else would. This often means highly qualified professionals are forced to take jobs from blue collar workers. NB. The government doesn't track refugees after they arrive. Once arriving in the U.S., refugees are allowed to move anywhere in the country, just like any other legal resident. If a refugee does choose to relocate, a local organization works to transfer the case to another resettlement agency in the new location, but that is not always possible. Refugees sometimes chose to move to where they have a community of people from their country or that speak the same language. This can create cities where many refugees from one country live, like the large Somali community in Minneapolis. Some argue that the government should know where refugees, some of whom have been through extensive trauma, are living. I’m going to add more information as I get time to write. This post was inspired by conversations with Claire Schlissel and Sloane Davidson, as well as many negative comments and hate mail to my recent tweet about the cost of resettling refugees into the United States. This was adapted from information from the 9 resettlement agencies and reporting by Teresa Welsh for US News and World Report.